WASHINGTON — The Trump White House’s newfound backing of infrastructure grants managed by the U.S. Department of Transportation earned praise from the top transportation funding leader in the U.S. Senate. 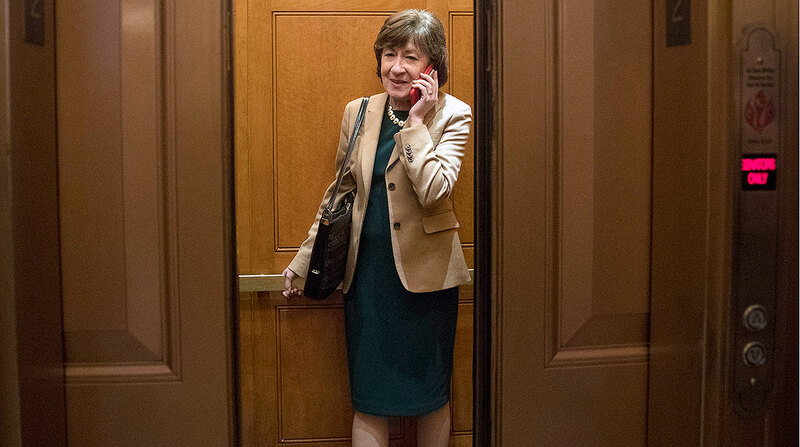 Collins was referring to President Donald Trump’s fiscal 2020 budget request that called for dedicating $1 billion for the Better Utilizing Investments to Leverage Development (BUILD) grants. The comparable Obama-era grants were known as the Transportation Investment Generating Economic Recovery, or TIGER, grants. “I know you have personally seen the success of this program in communities, both rural and urban, and I want to thank you for your advocacy for this significant funding,” Collins told Transportation Secretary Elaine Chao, who appeared before the panel to defend the president’s proposal. The White House’s fiscal 2020 budget also proposed $2 billion for Infrastructure for Rebuilding America, or INFRA, grants for freight projects, and $300 million for a bridge program. The Trump administration previously proposed significantly less funding for such grants, which have garnered popularity on Capitol Hill over the years. The chairwoman also noted the funding request for the Federal Motor Carrier Safety Administration was consistent with previously authorized levels. In the budget request, FMCSA would receive $288 million for safety operations and programs, and $387.8 million for safety grants. That proposal is higher than the fiscal 2019 enacted level of $284 million for safety operations and programs, and $382.8 million for safety grants. Overall, the fiscal 2020 request for U.S. DOT’s discretionary spending is a 22% decrease from last year, according to the Office of Management and Budget. In discretionary funding, DOT is requesting $21.4 billion. The fiscal 2019 enacted level was $26.5 billion. For mandatory funding, the request is for $62.2 billion. The fiscal 2019 enacted level was $60.8 billion. Discretionary funding requires the approval of Congress’ appropriations committees. Mandatory funds of entitlement programs and payments to state and local governments are normally not established by the congressional appropriations process. Congressional appropriators have consistently rejected deep cuts to major agencies. Meanwhile, Rhode Island Sen. Jack Reed, the panel’s top Democrat, urged Chao to adopt guidance that would ensure infrastructure projects are capable of withstanding the impact of severe weather events. Reed said catastrophic storms and floods occurring more often convince him of the need for new climate resilient policy. Major flooding in the Midwest is a recent example of severe weather destroying existing freight and commuter corridors. “When you have a 100-year flood every three years you’ve got to wonder what’s going on,” he added. In response to Reed, Chao said her department’s subagency on highways was monitoring resilient infrastructure through several pilot projects. Climate resilience policy is poised to become a point of contention for transportation leaders tasked with crafting infrastructure legislation this spring. Most Democrats, such as House transportation panel Chairman Peter DeFazio of Oregon, endorse resiliency provisions. A significant number of their Republican counterparts are not supportive of such measures.